I recently got a copy of this book from the library and after reading through it I'm sure I'm going to buy it on Amazon soon. 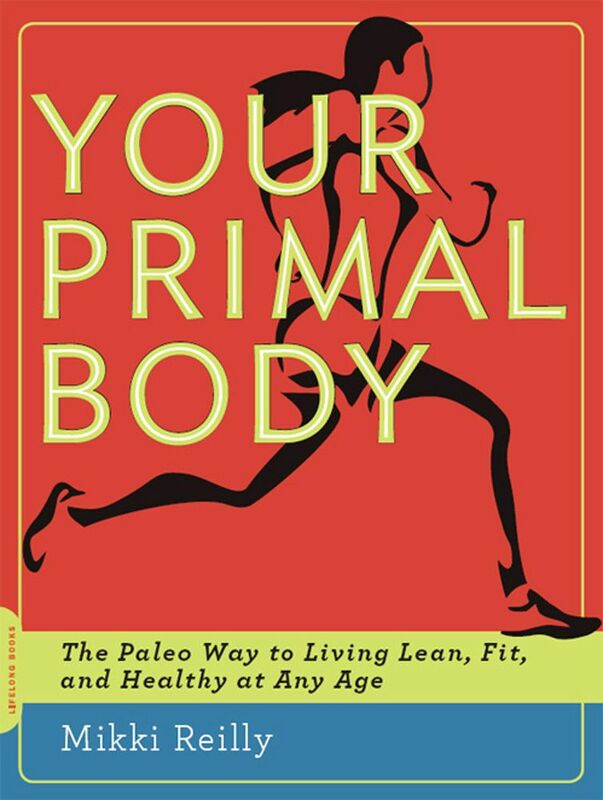 Your Primal Body: The Paleo Way to Living Lean, Fit, and Healthy at Any Age by Mikki Reilly is the best book I've found for giving a broad, complete look at the core concepts of a Paleo-inspired lifestyle. She brings a huge amount of personal and professional experience as a former professional bodybuilder and current certified fitness trainer, and goes in depth into the key aspects of Paleo that everyone needs to know. There are tons of books on nutrition, exercise, stress management, supplementation, sleep, as well as about a million Paleo cookbooks, but nothing I've seen so far does a good job at covering all of those topics in an extremely accessible way that's perfect for the beginner. I'm working on putting up a page with my best book recommendations across different topics, and there are a lot of them, but if I was going to recommend one book for somebody who was just starting to explore the Paleo lifestyle it would be this one. She covers diet, supplementation, muscle-building, and weight loss among other things and she includes exercises and recipes as well. Beyond any one topic, however, her descriptions of various ideas like the importance of Vitamin D, the problems with grains, and the basic concept of following an ancestral diet are easy to understand, and complete enough to give the reader a real sense of what living Paleo is all about. Don't get me wrong, I learned a lot from this book, and I already have a good background in Paleo concepts, so it's not strictly for beginners. It's just that the way it's laid out, and the broad scope of topics mixed with thorough explanation along the way made me wish I'd had this book when I first started. a) i realllly need to get a library card for moments like this b) i want to check out this book once i get said library card! Library cards are essential! ;) I save up my books I want to read in my GoodReads "to-read" list... worth signing up there too! This book was great, too, that it included examples of clients of the author's of all different ages--would love to show this book to my parents, too!